The latest edition to the Samsung Galaxy Note series is now available at all Vodafone outlets retailing from $2499. 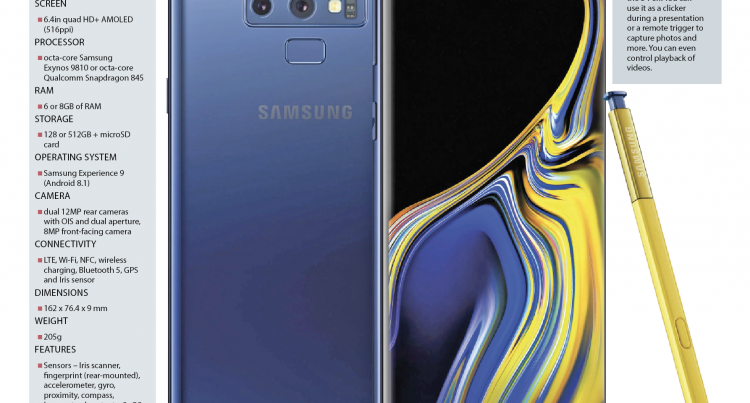 Samsung went one nudge up releasing Note 9 with a much bigger screen, powerful battery, expandable storage space and an intelligent camera that makes it nearly impossible to take a bad shot. 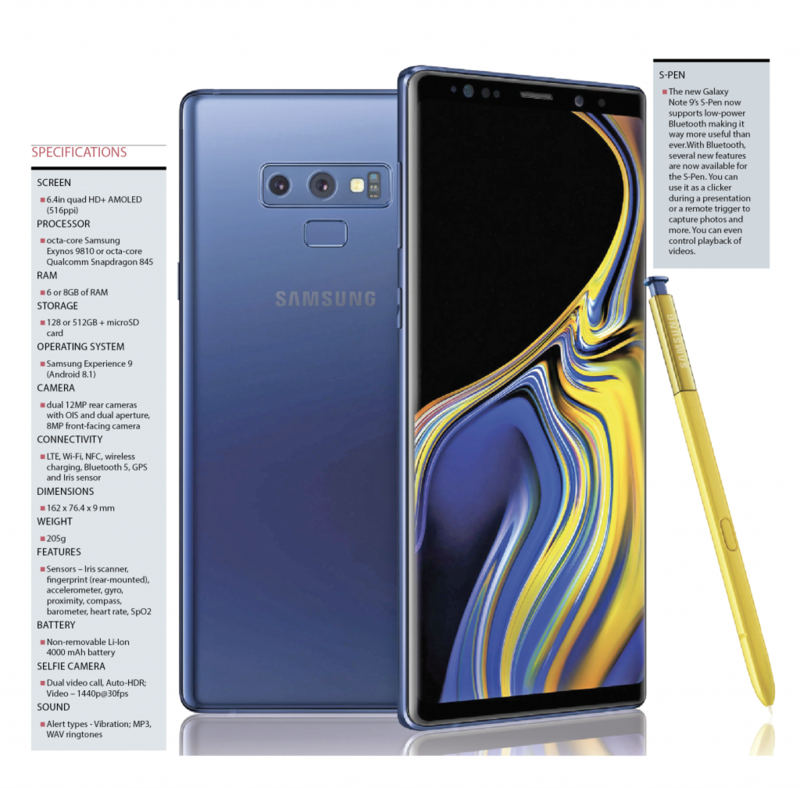 With the Galaxy Note 9, consumers get a 6.4inches Infinity display screen that makes one enjoy the features that are available with this new sleek built designed. Consumers now prefer bigger clear screen displays to enjoy the latest games and videos making the Note 9 a completely new experience. The introduction of the new and Powerful device with all-day battery capacity differentiates the Note 9 unit for its strong life that will last the whole day with one single charge. Consumers on the go will welcome this feature which will eliminate the need for an external power bank or the need for constant charging. Consumers now prefer to carry less work gadgets (laptops, tablets, phones) preferring to have all in one robust device that can deliver the same level of experience with quality outlook that meets the demand of a day’s work. And with the all new intelligent S-Pen that will allow you to take control of your camera, presentations, and apps at the touch of a button. The S-Pen works as a photo remote, so you can take selfies or group photos without having to be near your phone with range up to 30 feet. With built-in storage capacity up to 512GB that is expandable up to 512GB more Note 9 has up to a terabyte of space for what matters so now you can store more and delete less. “Samsung have again released an outstanding product that is both Trendy and Strong and we anticipate a strong uptake in the next couple of weeks judging from the anticipation towards this latest model. We have also reserved more than 150 units for customers who had pre-ordered,” said Vodafone’s Chief Marketing Officer.